Carmen Lynch was recently listed on Splitsider's "2016's Best Late Night Sets" for her appearance on Conan. She has also performed twice on The Late Show with David Letterman, as well as The Late Show with Stephen Colbert, @midnight, Inside Amy Schumer, and The Good Wife. She most recently starred in a short film directed by Chloë Sevigny. 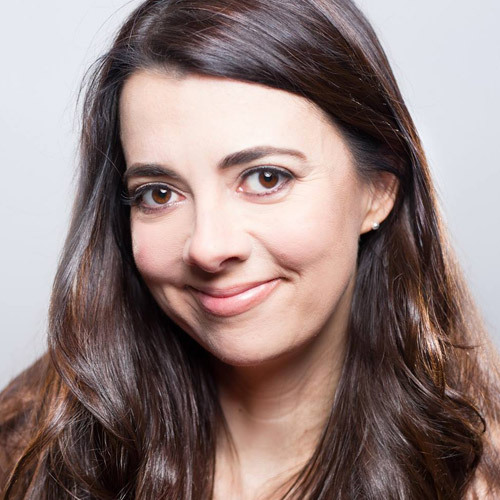 Carmen has also performed for the troops in Iraq and Kuwait, and continues to tour in Spanish-speaking countries doing standup in Spanish. When she isn't on the road Carmen can usually be found at The Comedy Cellar in NYC and The Comedy Store in LA. Check out her comedy CD "Dance Like You Don't Need the Money" available on carmenlynch.com.